As mentioned in my previous post, I am back to try the Acai Bowl at MYR 25.90 nett. 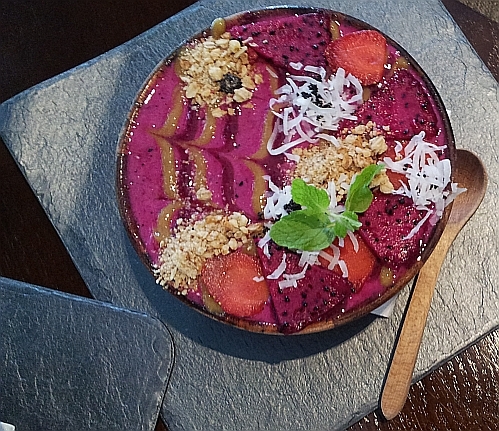 This Acai Bowl is made from Acai Powder, Dragon Fruit, Banana, Strawberry. Acai berry is the fruit of the Acai Palm tree. Tasty but my favourite smoothie bowl here is still the Ocean Bowl at MYR30 nett. My friend ordered the Nasi Lemak Beckham at MYR20.90 nett and Tomato Bell Pepper Soup at MYR14.90 nett. This is not a vegan meal as it has eggs. I ate all the Tempeh (fermented soy beans) here and they were good. I also ordered the Curried EMS at MYR14.90 nett. 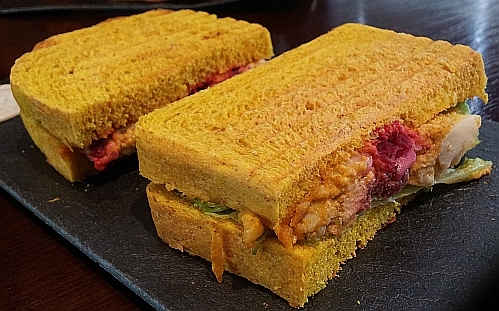 According to the menu, it was made with organic turmeric bread, homemade eggless curry mayo, celery, eggs, pickled beetroot, batavia lettuce. I would recommend that this sandwich be eaten immediately because of its toasted bread which will turn a bit soft as time goes by. 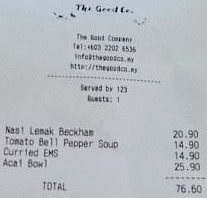 Total bill for 2 pax: MYR76.60 nett. The food may turn you into a vegetarian because it is very tasty! Why the name Beckham, as in David Beckham? Yes, looks like only partial vegetarian since there are eggs. Everything looks colourful, very nice. Yes because I think Beckham ate at this place before. There is a drawn portrait of him eating on the wall. Not vegan but still vegetarian because there are many types of vegetarians. One of them being lacto ovo vegetarian. So expensive and no meat... hahaha. No meat yet tasty - that's why so expensive. I want to eat the Acai bowl! It looks so good and colorful. If you want to try one only, ocean bowl is the best! Wow! 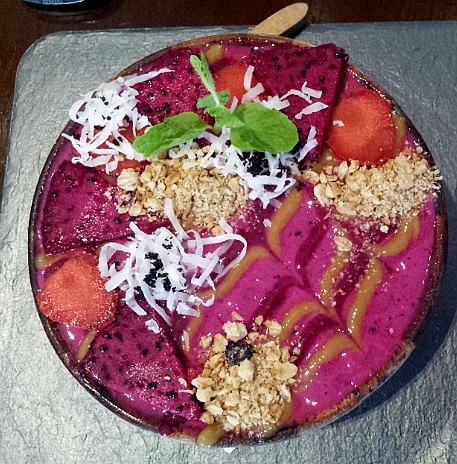 The Acai bowl was so colourful!! And wow. I like how the 3 coloured rice presented. And what a name for nasi lemak. Haha. They do placed importance on the presentation. 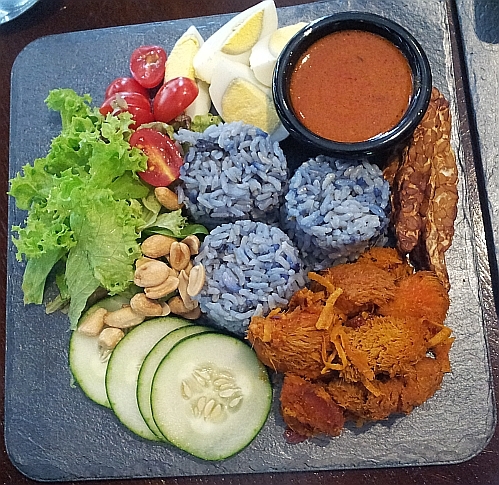 The acai bowl so colourful and nasi lemak looks delicious! Does the bread taste of turmeric? Since I like the taste of turmeric I felt that it was just a bit of the taste.